Grace attended YAHS for six summers and is now a double major at UNC. YAHS alumnus Grace Monteleone (YAHS 2011–2016) is currently a sophomore at University of North Carolina Chapel Hill, where she studies with Laura Byrne. She is double-majoring in Harp and Exercise and Sports Science (go Grace!). We asked her about her first year at UNC, and how YAHS helped her prepare for her time in college. Can you tell us about your musical life at UNC? “My time at UNC has helped me grow immensely as a musician already, and I am only half way through my time here. 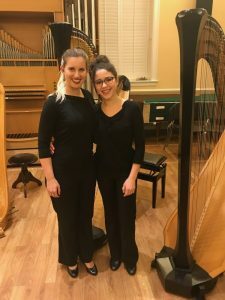 Aside from the excellent instruction I have received from Mrs. Laura Byrne, the harp instructor at UNC, I have been lucky enough to have access to many other knowledgeable professors in the music department who have expanded my exposure to new musical ideas and experiences. I have had the privilege to play alongside fellow harpists in the program, including fellow YAHS alumni Samantha Horn, Catherine Campbell, and Naomi Sutherland, in the UNC Harp Studio Ensemble. Together, the ensemble has done amazing things such as perform the Prokofiev “Ode to the End of War” for 8 harps and orchestra. 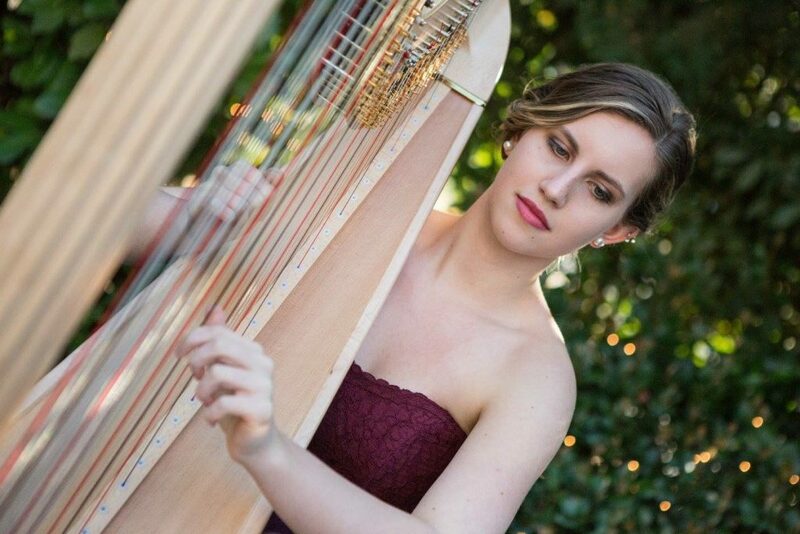 The UNC Harp Ensemble has also performed a number of pieces that I have seen performed at YAHS. Grace and classmate Naomi Sutherland (another YAHS alum!) following their UNC harp ensemble concert. What are some YAHS tools that you have used in college? You are double-majoring in two very different areas: Music and Sports Science. Do you have any advice for students hoping to focus on two degrees in college? Congratulations on all of your success, Grace!